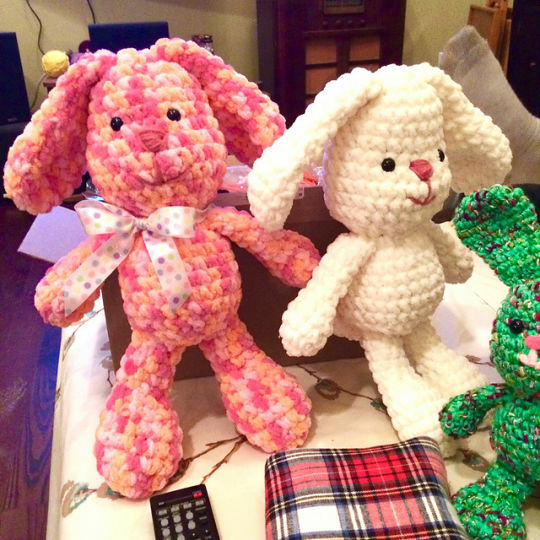 Once I got started it was hard to stop making these cute bunnies. I ended up making 10 of them in all sizes, colors and textures. Thanks! They are really fun to make and each one has its own personality!